Why Not Go Green This Fall? (ARA) – When you think of the colors associated with fall, green doesn’t necessarily come to mind. Environmentally speaking, however, it should. There’s no better time than now to lessen your home’s impact on the environment and change the way you decorate and live. So, why not go green this fall? It’s not nearly as difficult to become earth-friendly as you might think. “From products that contribute to good indoor air quality to ones that truly reflect the ‘reduce, reuse, recycle’ mantra, the number of affordable green interior decorating products has literally exploded within the past five years,” says Donna Schroeder, Dutch Boy color marketing and design manager. These days, you can find stylish, eco-friendly design elements for every room in the house. And, contrary to popular belief, going green doesn’t mean you have to sacrifice style for sustainability. The two can coexist quite effortlessly. You can start simple by dressing your bed in luxurious sheets, throws and comforters made from fabrics such as rich, renewable bamboo or soft, organic cotton. Cover your floors with formaldehyde-free carpets constructed of recycled fibers or select a natural material, like stone, slate or even concrete. Then, hang energy-efficient window treatments with high insulation and shading properties. Don’t stop there. Spice up your tired sofa with a design-forward slipcover and throw pillows crafted from 100 percent recycled materials. Add bright recycled glass plates and serving pieces to your china cabinet. Buy furniture made from sustainably harvested wood or, better yet, visit local secondhand shops and repurpose. Or, look around your own home and see what you already have that can be adapted for a new use. You’d be surprised what a little creativity and some good old-fashioned elbow grease can do. 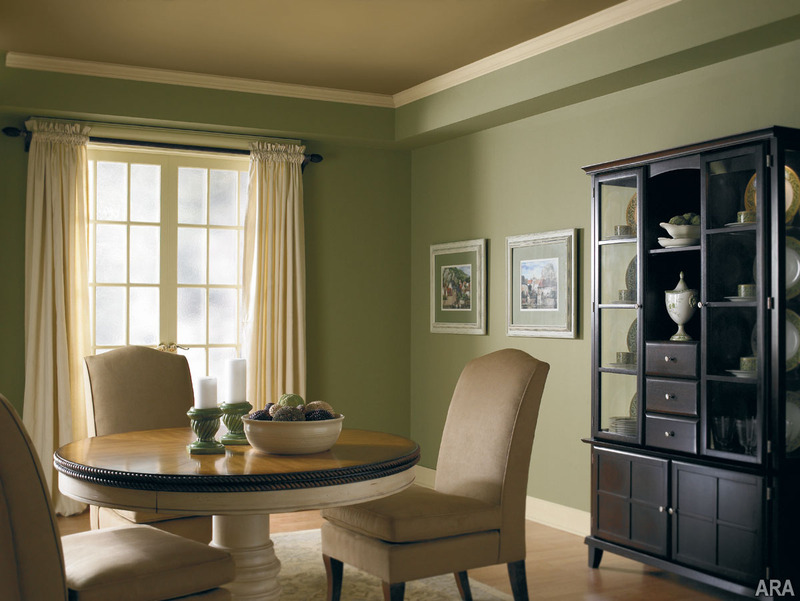 If you’re looking to add bold, fun color, paint fits perfectly into this overall green scheme. It’s an inexpensive, effective and, most importantly, environmentally-minded way to change the look and feel of an entire room. Many paint manufacturers now offer coatings that contain few, if any, volatile organic compounds (VOCs), or vapors that are released from paint as it dries. 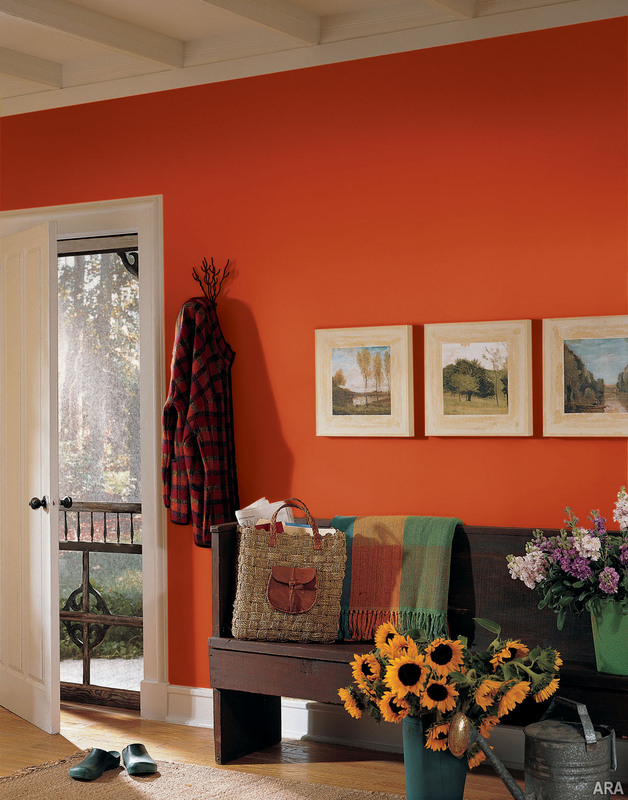 Using paints formulated without VOCs, such as Dutch Boy’s new Refresh interior paint with exclusive odor-eliminating Arm & Hammer technology, takes your home one step closer to reducing your environmental impact while leaving your interior looking fresh, modern and filled with personality. Many home improvement products, including Refresh, are also Indoor Air Quality certified by The GREENGUARD Environmental Institute, a nonprofit, industry-independent organization that certifies indoor products that meet satisfactory indoor air emissions standards.